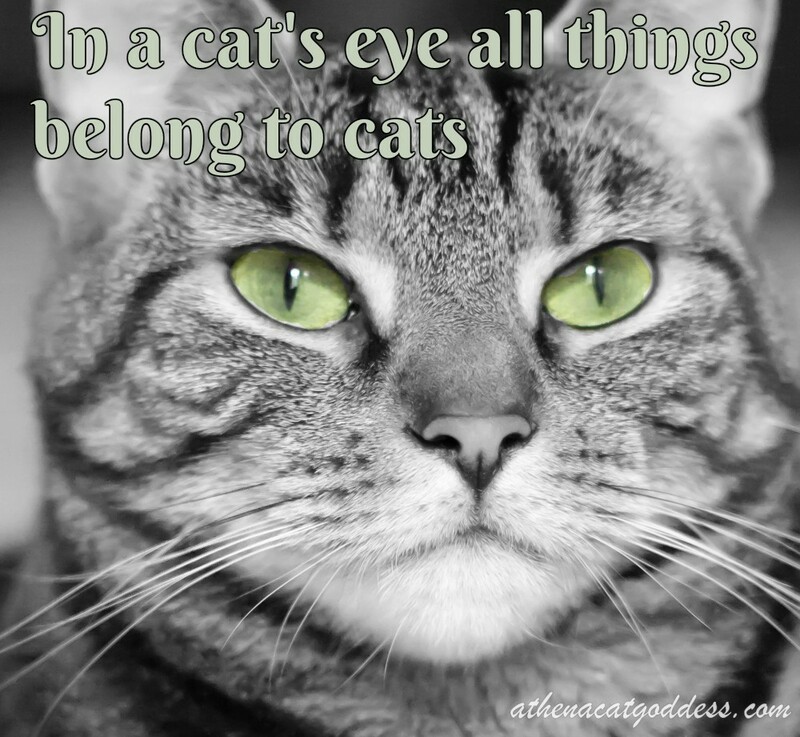 I love your green eyes, Athena! Well, all things DO belong to cats...I'm down with that! Ha, ha of course they do! -Bear who wants all the chickens, and boxes and attentions. I love how cats think. I can't imagine not giving Miss Athena anything she wants after staring into those stunning green eyes. You're speaking the 100% truth, Athena! At least, my cats think this is the truth. Gorgeous photo, Athena! I love your green eyes. :) That quote is spot on. My cats are sure that everything in our home is theirs.